Elegance, location and curb appeal!! This home has it all!! 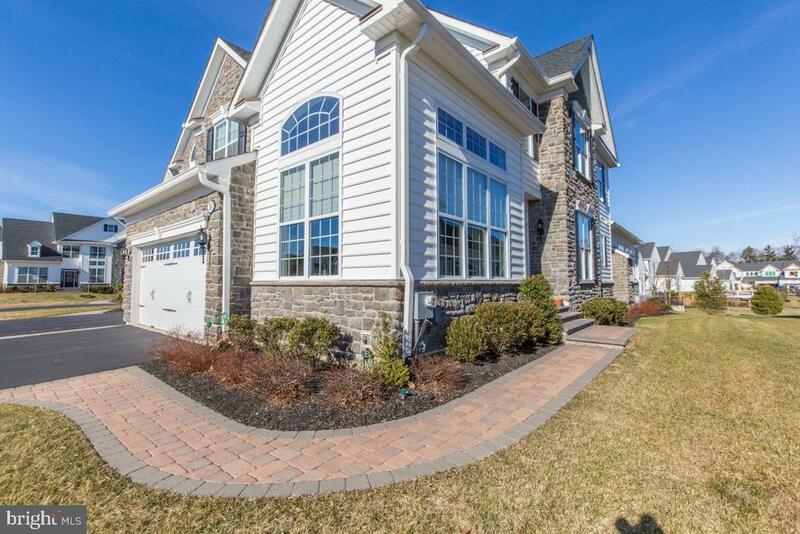 Nestled in a cul-de-sac community of waterford estates this brick front home offers privacy but yet close to historic downtown newtown boro and part of the council rock north school district. You will feel right at home as you notice the many architectural details and gleaming hardwood flooring in the foyer, living room, dining rm, and kitchen. The two-story foyer features turned staircase and palladium window. The living rm and dining rm are enhanced with many sun-filled anderson windows and custom dentil molding. The open and spacious kitchen with large center island and granite countertops offers the perfect location for easy meal preparations. The breakfast area that looks out onto the private deck has views of the lovely gardens and partially fenced yard thru the new pella glass sliding door with built-in inner blinds. Conversations will easily flow into the generously sized family room with two-story stone wood burning fireplace, back staircase, and separate built-in wet bar area. An office or first floor bedroom complete with california closets can be accessed through a separate entry way. Laundry room, powder room, and a three car side entry garage completes the first floor. As you ascend to the second floor you will notice the double door entrance to the master suite with trimmed and lighted raised tray ceiling, ceiling fan, and separate his and her walk-in closet areas. The attached private bath has double sinks with makeup area, gemini whirlpool tub, new separate double shower stall, and linen closet. The master suite also features a many purpose room with tons of natural sunlight through the palladium window. All this truly makes a grand master suite! Three additional large bedrooms each have ceiling fans and more than ample closet space. The finished basement is the perfect venue for games, sports, or movies and features many built-in closets plus 2 additional depository areas for storing all your treasures. The backyard is your personal private oasis with views of the easy care perennial gardens and ideal for outside entertaining with family, friends, and neighbors. A special bonus is the 10k generac system. 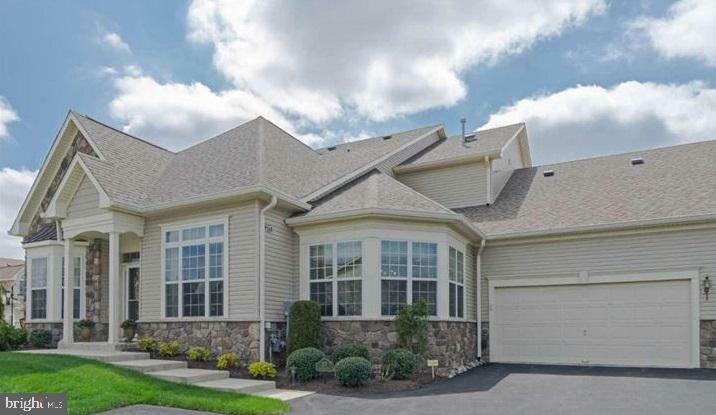 This wonderful enclave of stunning homes offers a community fish stocked pond and open space to view bucks county's natural beauty. It is easy to fall in love with this lovely home! An easy commute to philadelphia, new jersey, and new york and all major arteries. Come see for yourself! Fall in love and call this home!! This is not your typical newtown home! 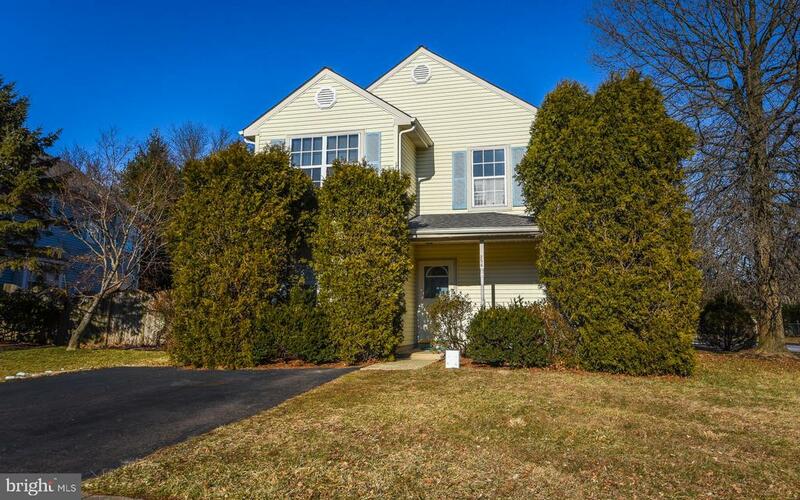 Welcome to 12 maple lane, a 2,684 sf, 4 bedroom, 2. 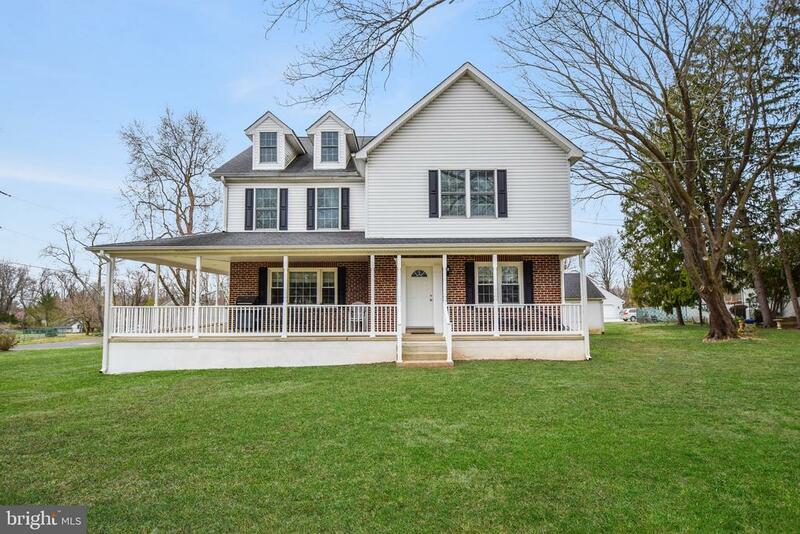 5 bath home in newtown township. 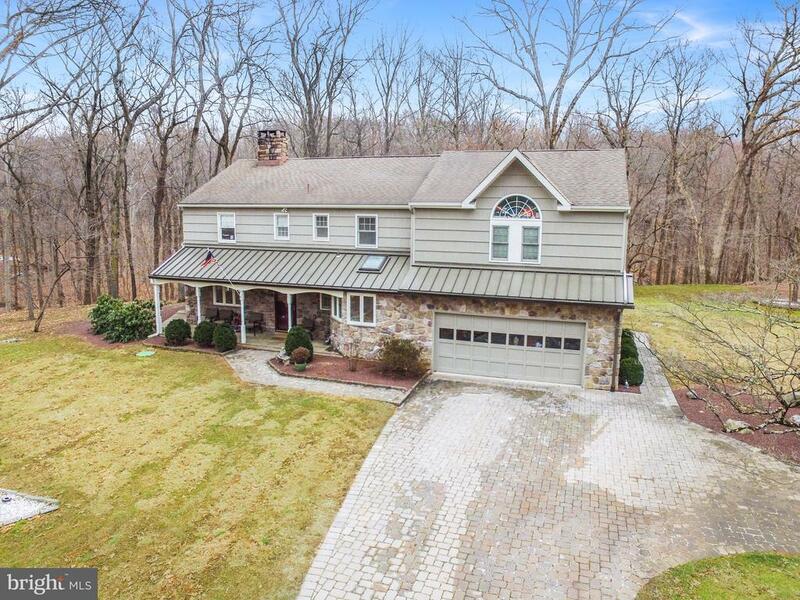 Sitting on over a half acre, this absolutely stunning home invites you to sit and enjoy the scenery on its wrap-around porch. As you enter this meticulously maintained home the gleaming hardwood flooring and neutral colors flow through-out the living room and dining room providing an open pallet for the new owners. The chef of the home will enjoy the 25 foot kitchen with stainless steel appliances, recessed lighting, gorgeous granite counter tops, kitchen island with counter top seating, custom tiled floors and a custom built-in pantry. The family room is very spacious with a custom mantle, fireplace and hardwood flooring. Also on the main level is a powder room. The second level offers 4 bedrooms and 2 full bathrooms. The master suite features a walk-in closet and an additional closet and a full bathroom with stall shower, tub and double sink vanity. Three nicely sized bedrooms complete the second level. Laundry is conveniently on the second floor. The lower level is a large fully finished basement. Another wonderful feature of this home is the easy access to main roads. Driving time to center city philadelphia is just about 30 minutes. Princeton is about 20 mins & trenton is only 15 minutes away. By train you can reach manhattan in an hour. The community is very convenient for everyday services like banking, grocery shopping & regional malls. Award winning council rocks schools, council rock h. S. North. 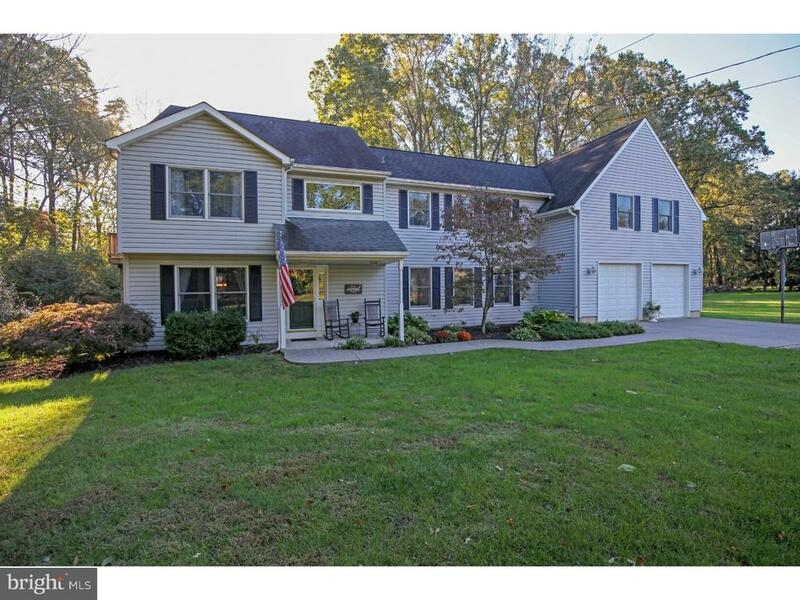 12 maple lane has so much to offer and will not last! Call to schedule a private showing today! 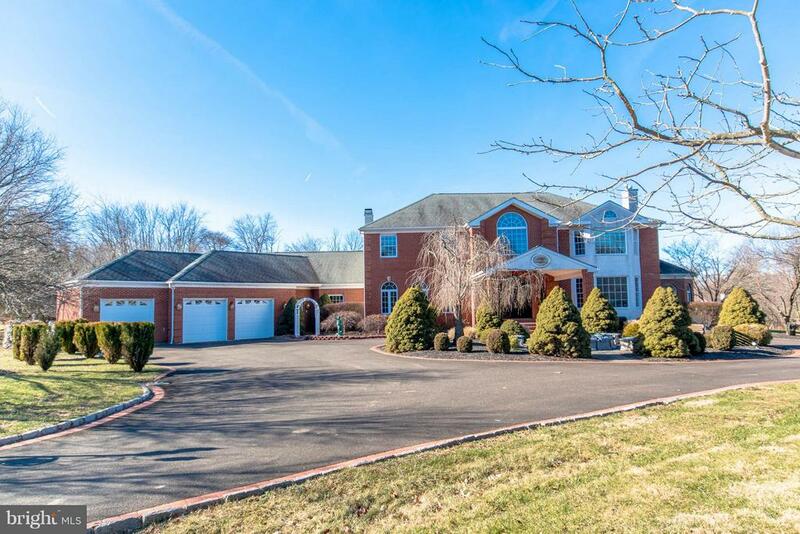 Newtown colonial offers 4-5 bedrooms with just under 4000 sf, on a private 1. 64 acre lot with public sewer. Welcoming front porch brings you into a 2 story entrance with newly refinished hardwood floors, showcasing a turned staircase. Sitting room on the left invites you to settle in with a book or enjoy birdwatching from the bay window. Spacious dining room with hardwoods leads you to the eat-in kitchen, also with hardwood flooring, that's compact but well thought out. Patio door takes you to a lovely composite deck where you can enjoy the private and partially fenced in back yard. Centrally located and spacious living room has a gas fireplace/stove to keep everyone toasty warm in the cooler weather. Also on this floor, the laundry room serves as a mud room and has a garage entrance, a door to the back yard and leads you to a separate staircase to the huge family/game room with wet bar and half bath. Great place for it's current use as a family room or you could convert it to an office, in-law suite, workout area, man/woman cave, playroom. The choice is yours! Second floor also offers the owners bedroom which has it's own balcony, a walk in closet as well as a full size linen closet, and a full bath. Two graciously sized bedrooms, one measuring 21 x 12 and the other 15 x 13, plus 2 smaller bedrooms, one which is currently an office and the other being used as an exercise room, along with a hall bath completes the second floor. The home is efficiently heated with a 3 zone heating system which allows the option of using the pellet stove furnace, heat pump or propane heat. Two sheds with electric service, one with a built in workshop, are perfect for handyperson projects and also great for storage. The large lot offers privacy and is wonderful for exploring and being in touch with nature. Centrally located with good access to commuter roads. Council rock school district.